Ambassador Young, Members of the Atlanta Chapter of UNA-USA, faculty, students and friends, I feel deeply privileged to be here today. Let me thank the Robert W. Woodruff Library for this opportunity to see the priceless treasures in its Dr. Martin Luther King Jr. collection. Allow me to pay tribute to you, Madam Mayor, for leading the efforts to safeguard these invaluable papers here in Atlanta — the city that Dr. King called home, and the heart of the civil rights movement. I am especially moved to have an opportunity to pay tribute to Martin Luther King here in Atlanta for the second time. 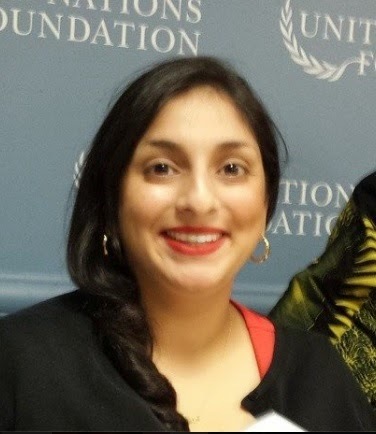 The first was on a visit fifteen years ago, as a far more junior diplomat, while serving as Deputy Chief of Mission at the Korean Embassy in Washington, DC. It was a unique experience for someone like me — from a land halfway around the globe, yet deeply influenced by this country, by its principles and ideals, and by Dr. King’s courage in striving to ensure they hold true for everyone. Over the years, my admiration for Dr. King has grown even more profound, as I have grown older, the world more complex, and the rights he so valiantly fought for more acutely important than ever around the world. Today, my admiration grew even further, as I saw the papers lodged in this library. “Letter from a Birmingham Jail” is a profoundly awe-inspiring document. Just reading a printed copy, it is easy to get swept up by Dr. King’s shining vision, and forget that his powerful words were written under conditions of utter disempowerment. He couldn’t even send the letter; it had to be smuggled out. Seeing the original, with paragraphs that Dr. King wrote on scraps of paper, I could only imagine what intellectual courage and conviction went into the effort. 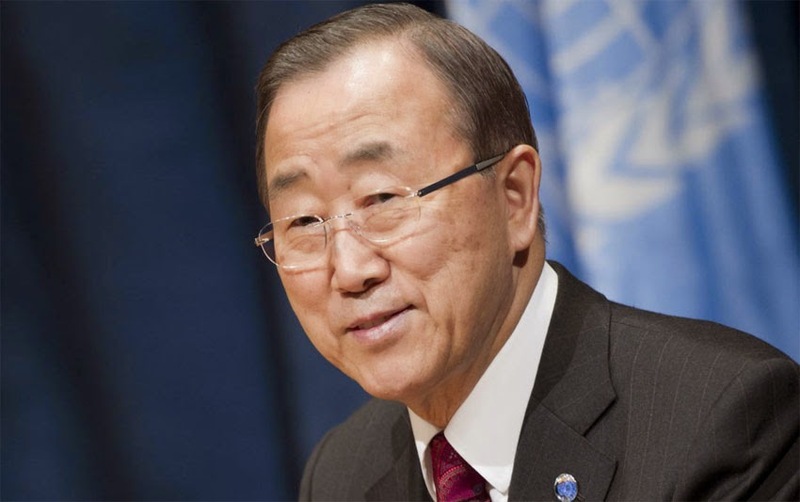 I was also struck by the deep bond that exists between the United Nations and this great man. The Library staff was kind enough to show me many artefacts that underline the connection. 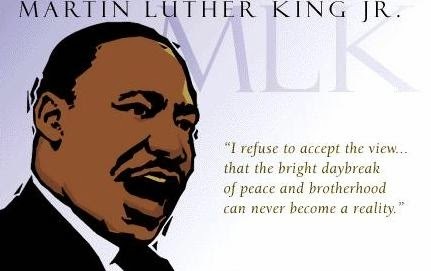 Take Dr. King’s acceptance speech on receiving the Nobel Peace Prize. He was only the second African-American to be Nobel Peace Laureate. 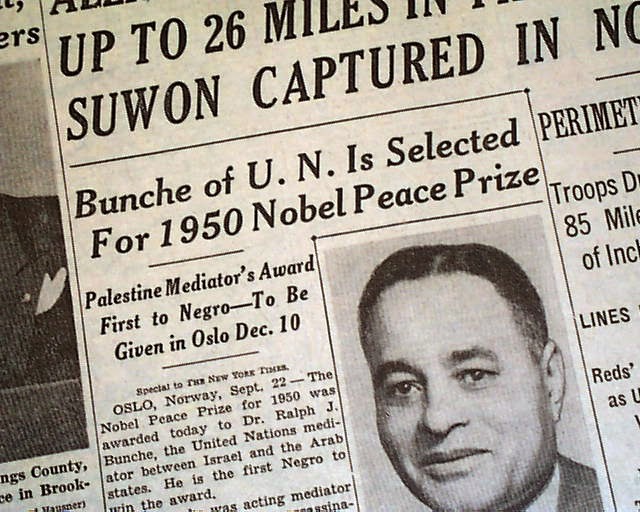 The first was his steadfast supporter, the United Nations Under-Secretary-General for Political Affairs, Ralph Bunche. What I saw today helped me form a picture of their close relationship. A letter from Ralph Bunche, on UN stationary, asking Dr. King and his wife to visit him on the way to the Nobel ceremony in Oslo; an engraved invitation to the Kings to dine with the Bunche family at their home in Queens. These words capture the conviction underlying the Universal Declaration of Human Rights, whose 60th anniversary we celebrate this year. They are the tenets of the United Nations. And they are the tenets that Dr. King lived and died for. It is often those who most need their human rights protected, who also need to be informed that the Declaration exists — and that it exists for them. 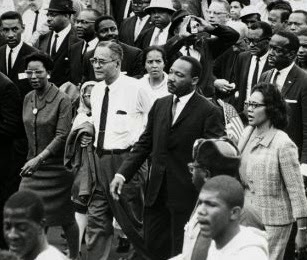 When Ralph Bunche learnt that Dr. King had been assassinated, he was devastated. He said going to Atlanta for the funeral was the saddest journey he ever made. The treasures I have seen here today validate these words. 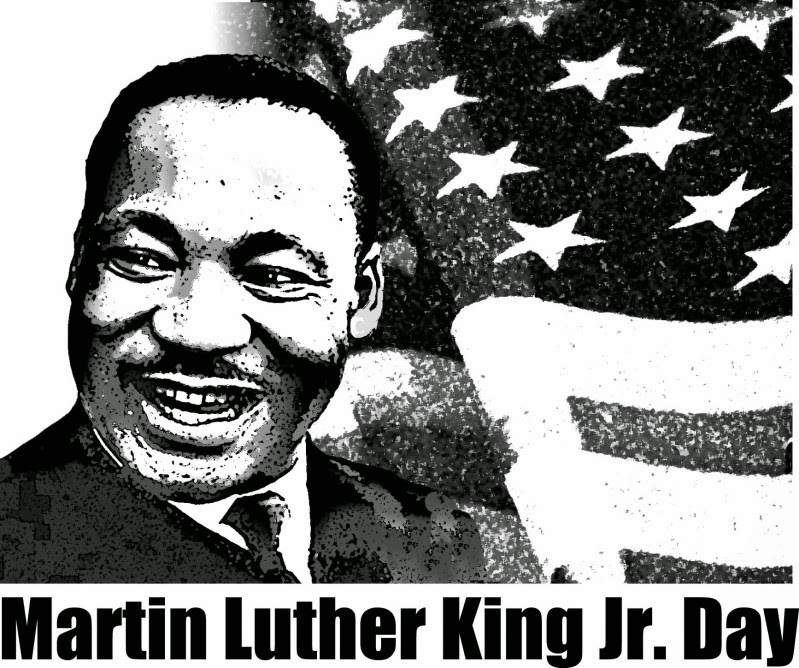 Dr. King remains an unsurpassed advocate of all the UN stands for: peace, economic and social justice, and human rights. We can be inspired by him as we pursue our overriding mission today to reach the Millennium Development Goals, the vision agreed by all the world’s Governments to build a better world in the 21st century. I will leave here forever impressed by Dr. King’s courage. He could see the bridge between the terrible injustices in our world and the noble rightness that humanity can achieve. He spent his life building that bridge and marching across it, from despair to hope, from suffering to salvation, from war to peace and from hate to love. As the United Nations strives to tackle the problems raging our world and to realize the principles in the Universal Declaration of Human Rights, we carry in our hearts Dr. King’s unending courage and his unbending conviction. So many people in this room have worked tirelessly to preserve his legacy. And all of us, especially the students here today, are challenged to carry it forward into the future. Fifteen years ago, the United Nations adopted the Millennium Development Goals — which have been called “the most successful global anti-poverty push in history.” The eight Millennium Development Goals (MDG’s) include halving extreme poverty rates, halting the spread of HIV/AIDS, providing universal primary education, and more — all by the target date of 2015. Goal Number 6 included a series of measures related to combating HIV/AIDS, Malaria and Other Diseases. Target 6.C was defined as an effort to halt, by 2015, and begin to reverse the incidence of malaria and other major diseases. How has the world done on this measure? Between 2000 and 2013, the substantial expansion of malaria interventions led to a 47 per cent decline in malaria mortality rates globally. Treatment for tuberculosis has saved some 22 million lives between 1995 and 2012. According to WHO (a specialized agency of the United Nations), malaria cases are steadily declining around the world. 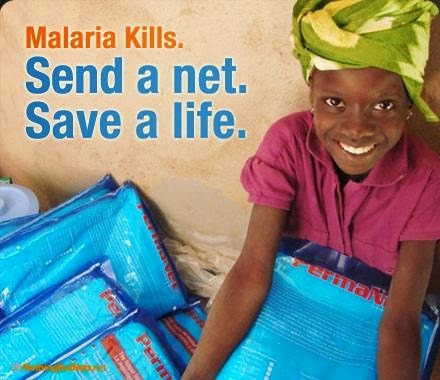 In the African region, where about 90% of malaria deaths occur, the malaria mortality rate decreased by 54%. So, despite a 43% population increase in sub-Saharan Africa, fewer people are infected or carry asymptomatic malaria infections every year. How has this progress been achieved? 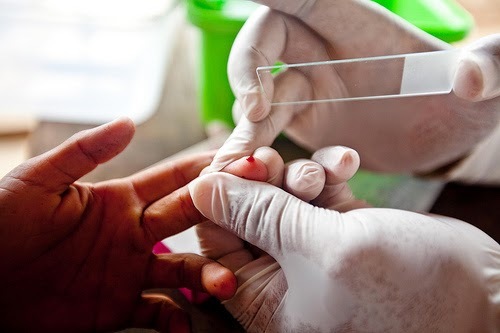 Additionally, access to accurate malaria diagnostic testing and effective treatment has significantly improved worldwide. There is now an optimistic public conversation about eradicating malaria entirely by the year 2030. 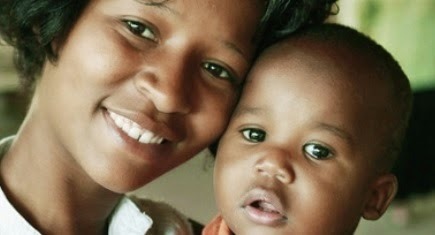 Taken together, the MDG’s have galvanized unprecedented efforts to meet the needs of the world’s poorest. The UN’s new development goals, for the period 2015 through 2030, will undoubtedly call for a continuing commitment to the health and well-being of all of the world’s people. 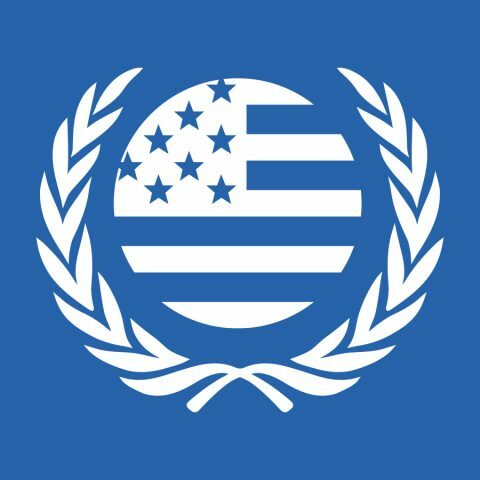 As members of the United Nations Association of the USA, we are proud to support these efforts. 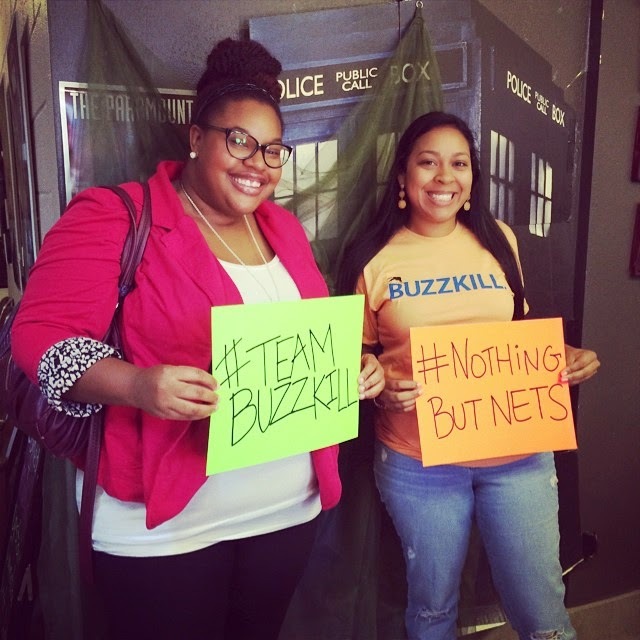 In 2014, thanks to the generosity of our members and friends, we raised over $700 for Nothing But Nets — a campaign of the United Nations Foundation. 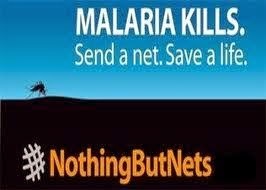 Nothing But Nets provides bed nets to people in sub-Saharan Africa who are at the greatest risk of contracting malaria. According to the World Health Organization (WHO), malaria killed an estimated 482,000 children under five years of age in 2011. 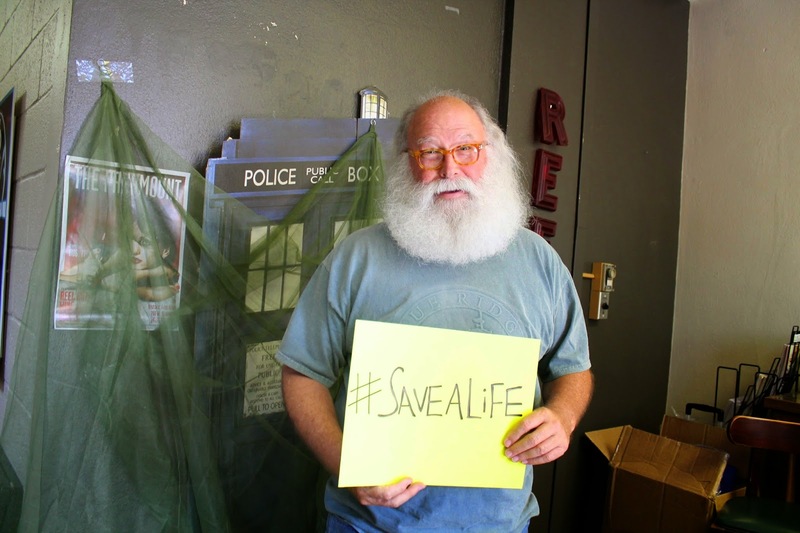 Malaria is an entirely preventable and treatable mosquito-borne illness. 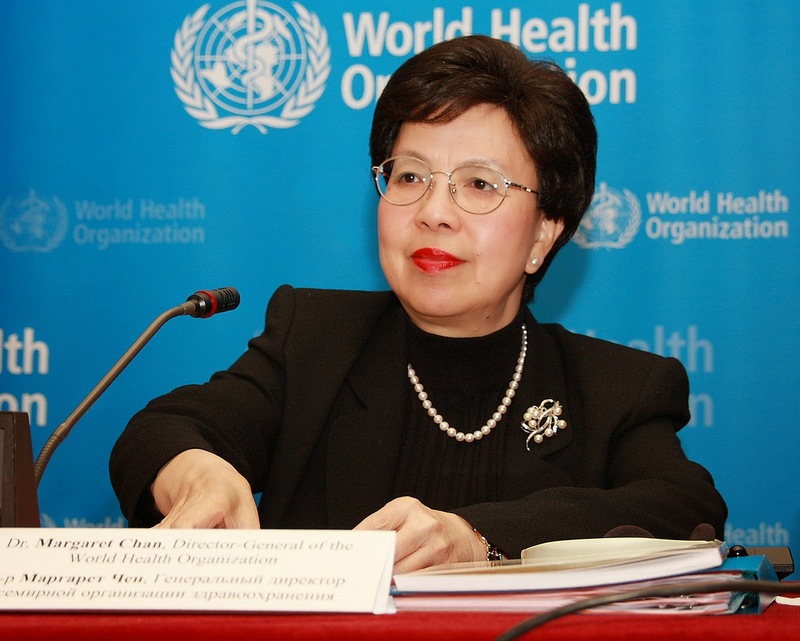 In 2013, according to WHO, 97 countries had ongoing malaria transmission. The price of an introductory membership is $25. 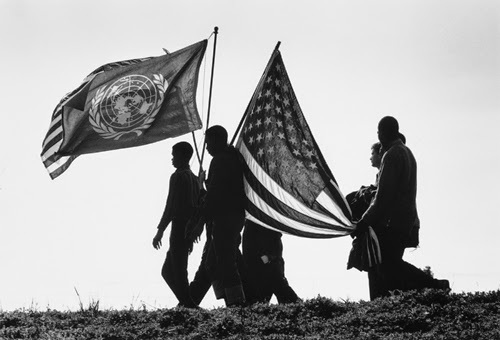 It feels good to be a member of the United Nations Association … It is so worth it! If you’re a student, 25 years or younger, you can join our “GenUN” group for FREE. All members and friends of the United Nations Association are invited to donate to “Team Immunity OKC,” a special initiative to support the “Shot at Life” campaign to save the lives of children in developing countries. Click HERE to activate the “Donate” button. 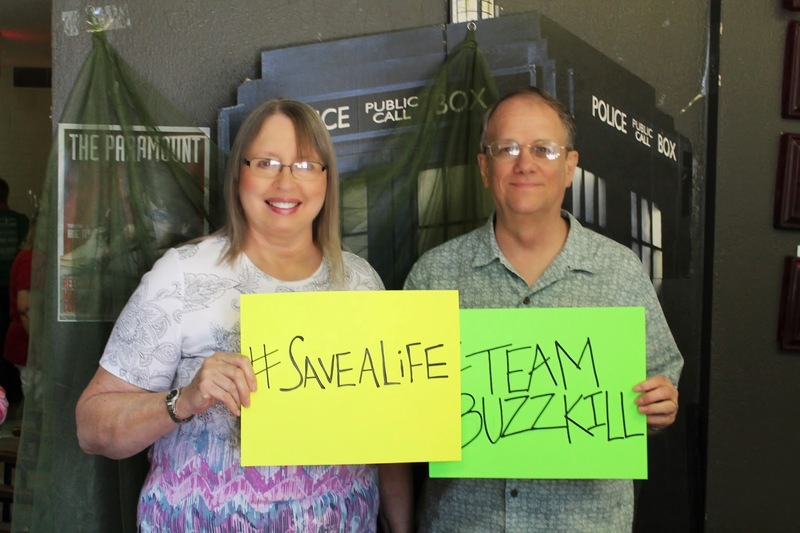 Our goal is to raise $405 from our friends in the ‘405’ are code. Even a small gift will help! What’s it about? It’s as simple as this. Vaccines save lives. We know they do because respected UN agencies like UNICEF and the World Health Organization are tracking the results. Major challenges persist. More than 30 million children are unimmunized either because vaccines are unavailable, because health services are poorly provided or inaccessible, or because families are uninformed or misinformed about when and why to bring their children for immunization. 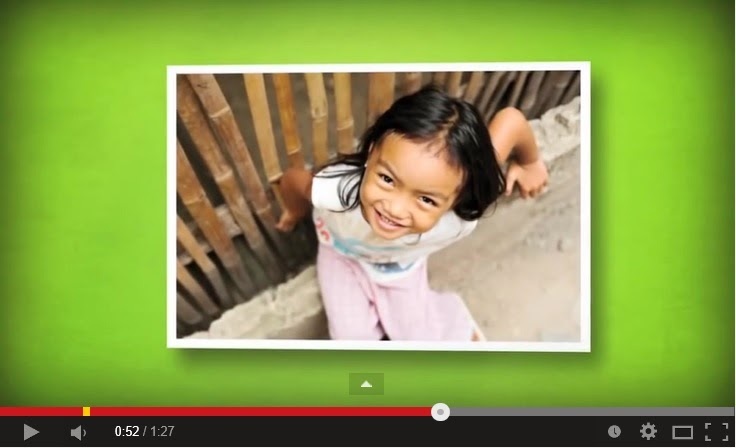 How Your Gift will Help. 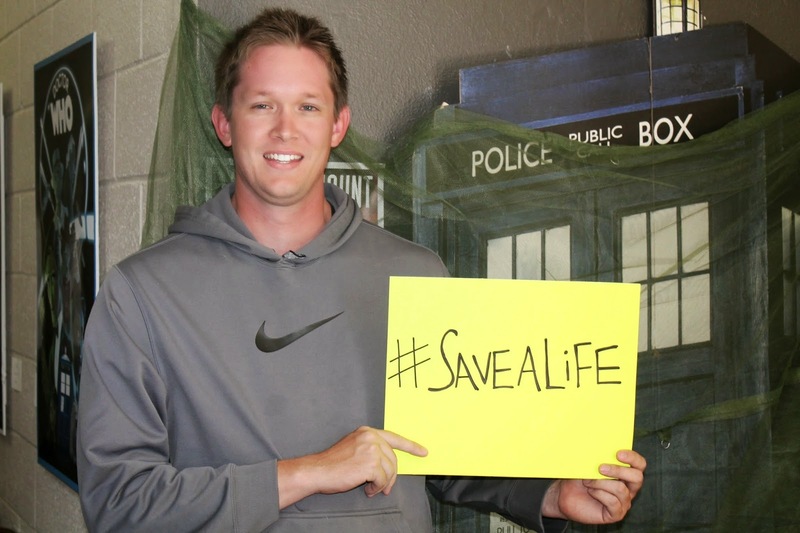 Vaccines currently help save 2.5 million children from preventable diseases every year. With your help, global vaccination programs can stop the 1.5 million unnecessary deaths that still happen every year, and ensure that all children, no matter where they live, have a shot at a healthy life. 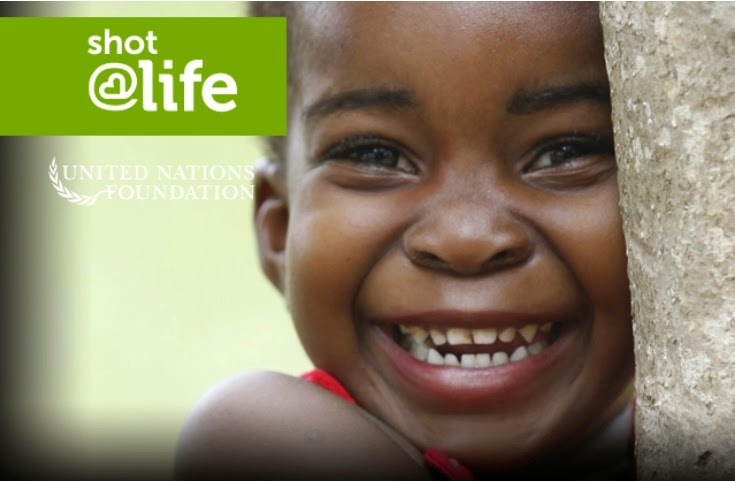 Your donation to Team Immunity OKC will go directly to the “Shot@Life” campaign of the United Nations Foundation. The campaign’s Implementing Partners have a proven track record. Their work has already contributed to a 99% reduction in polio, a 74 percent reduction in measles-related deaths, and the introduction of vaccines for the two most deadly childhood diseases, pneumonia and diarrhea. More About the Campaign. 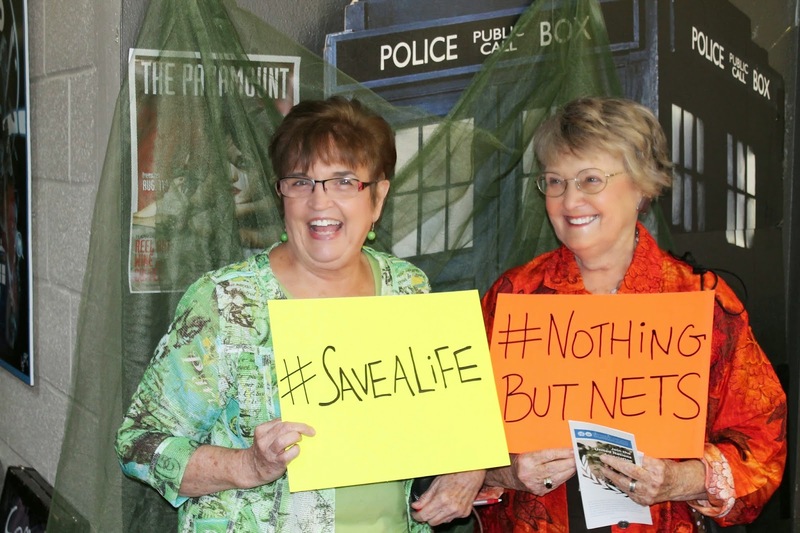 Shot@Life educates, connects and empowers Americans to champion vaccines as one of the most cost-effective ways to save the lives of children in developing countries. 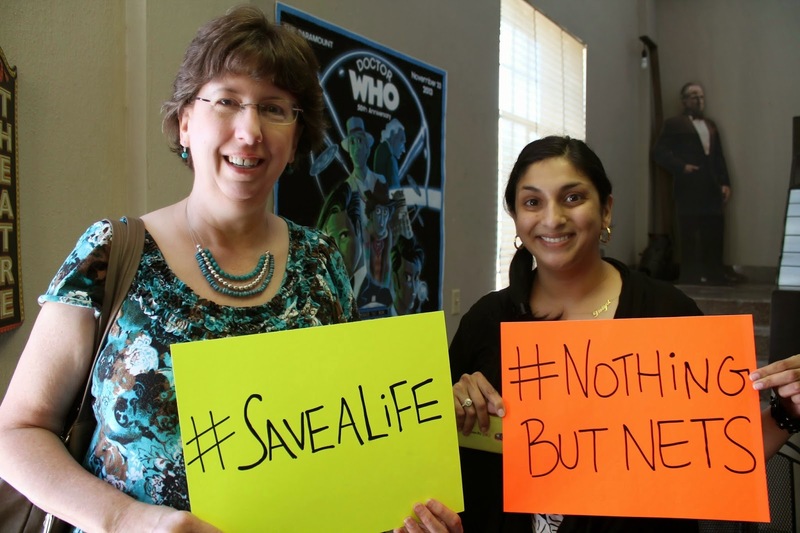 A national call to action for a global cause, the campaign rallies the American public, members of Congress, and civil society partners around the fact that together, we can save a child’s life every 20 seconds by expanding access to vaccines. 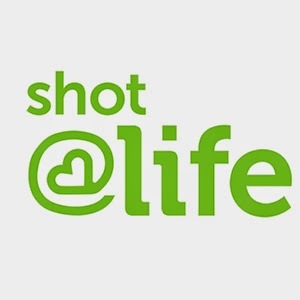 By encouraging Americans to learn about, advocate for, and donate to vaccines, Shot@Life aims to decrease vaccine-preventable childhood deaths and give every child a shot at a healthy life. 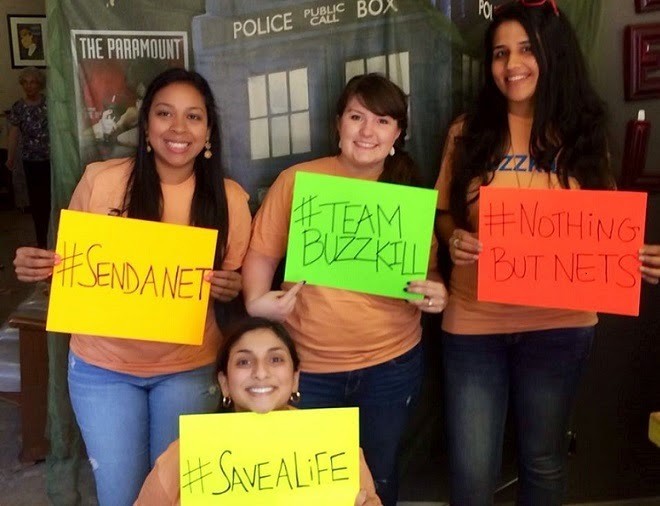 Shot@Life Champions are a network of over 300 moms, dads, students, and activists dedicating their voice, time, and support to stand up for childhood vaccines. Thank you for supporting Team Immunity OKC!